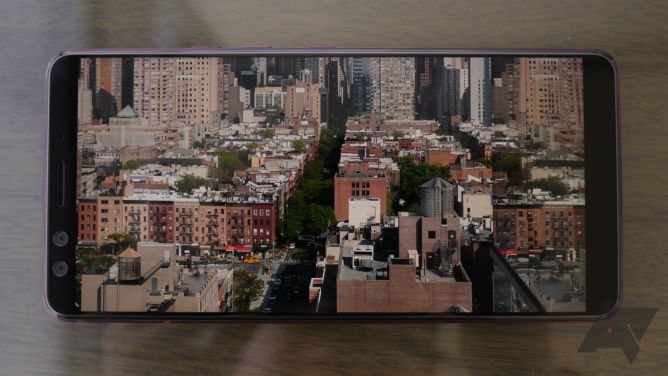 Last year, it felt like the sudden rise of smartphones with extra-wide-aspect-ratio screens — those starting at 18:9 and going up from there — caught HTC by surprise. While spring flagships from the likes of LG and Samsung were early adopters of the new screen geometry, HTC's U11 came across like a leftover from 2016, with its bog-standard 5.5-inch 16:9 panel. HTC seemed to learn its lesson quickly enough, and the U11 was followed up a little over five months later by the U11+, adopting a 6-inch 18:9 screen in the process. 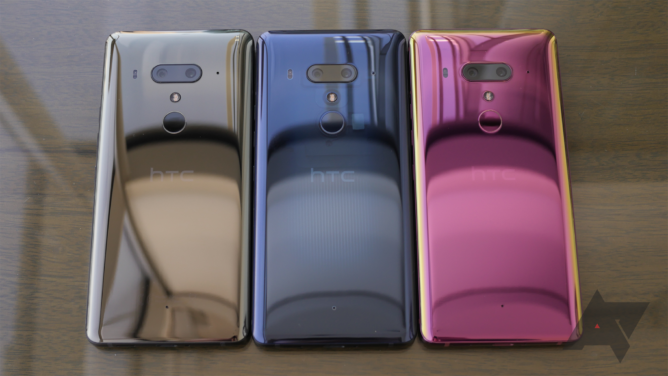 So as 2018 rolled around, we found ourselves wondering what form HTC's next-gen lineup would take. 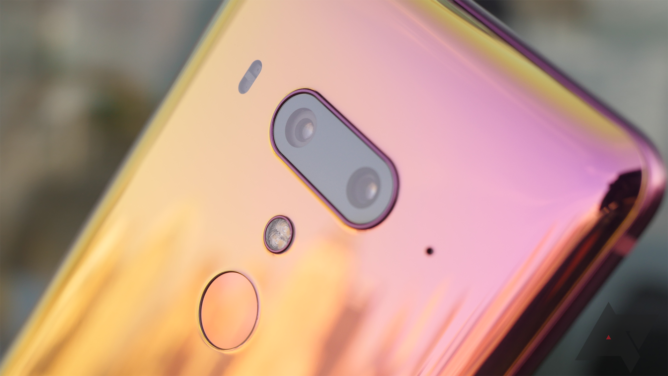 Would we see another pair of handsets, maybe both with 18:9 screens this time around? Rumors soon distanced themselves from that idea, focusing instead on the notion of a single U12+ model taking the flagship seat — and as HTC just confirmed, that's exactly what we're getting. How does the new U12+ compare to last year's offerings? Is this a worthwhile upgrade for HTC fans? And is it compelling enough to draw shoppers away from some of the bigger smartphone brands? 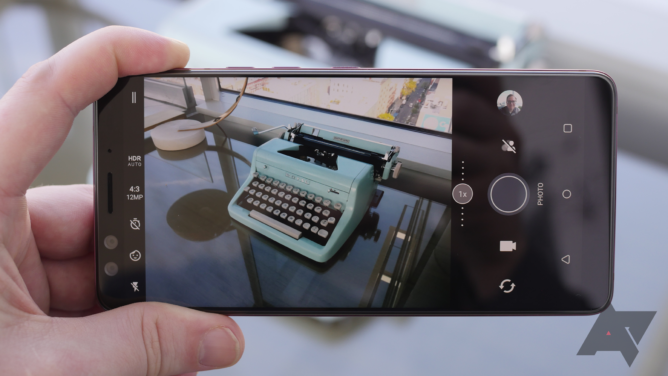 We went hands-on with the HTC U12+ to find out. 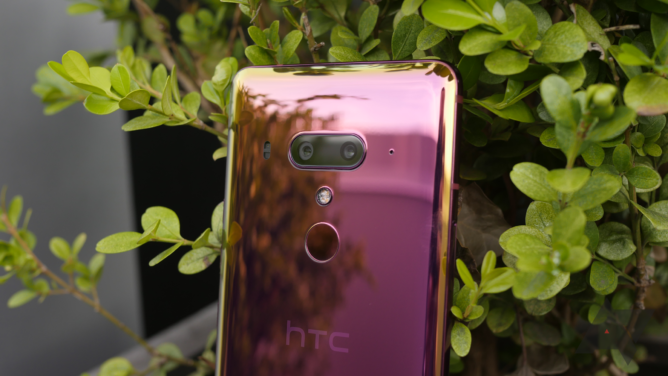 If you liked HTC's design language last year with its “Liquid Surface” finish, we've got good news for you, as the U12+ is just more of the same. While my personal experiences were largely limited to the smaller U11, there's little denying that this handset is the spitting image of the U11+. 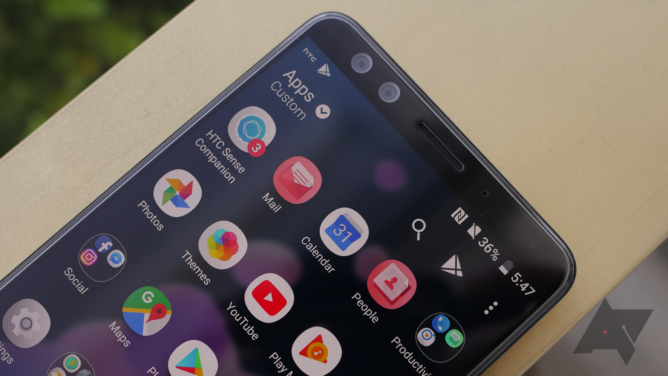 The screen on the U12+ keeps that same 6-inch size and 2880 x 1440 resolution, and while it will look a little unambitious to some, I really appreciate how HTC doesn't seem to be feeling a lot of pressure to give us rounded corners, curved edges, or a notch — it's just a simple, straightforward panel that looks pretty darn good. Color options include ceramic black, flame red, and translucent blue. The black's a safe, pedestrian option, while the other two are much more interesting. The red pulls that same color shift to yellow we saw last year, which had me affectionately calling it the “hot dog” option — ketchup and mustard (I'm just super salty that there's no word of this color selection coming to the US). While that red is plenty cool itself, the blue offers a similar see-through design to what we got as an option with the U11+. Here it's a little less pronounced, lacking the big coil, but you still get a peek at camera and fingerprint hardware. One of HTC's big features last year was its Edge Sense system, allowing users to interact with the U11 not via physical buttons, but through a series of strain gauges running up and down the phone's sides — a quick squeeze would trigger one action, and a long squeeze could be configured for a second. It was a neat idea, if less than completely game-changing, and had enough buzz for Google to adopt the same mechanism as Active Edge in the Pixel 2 phones. 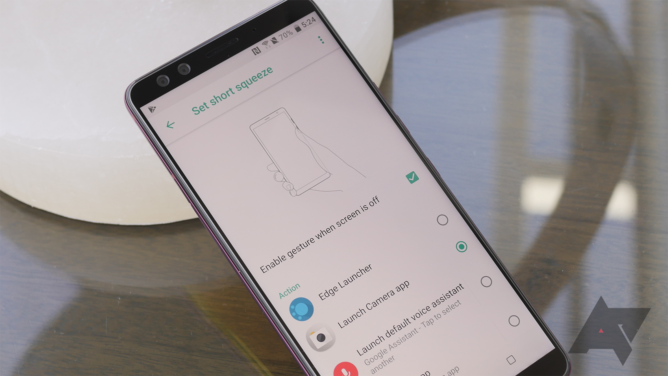 Now the U12+ is back with Edge Sense 2, and while it does deliver improvements, I feel like HTC is getting a little overboard with this idea of pressure-sensitive input. The U12+ extends the original Edge Sense system with a new double-tap option: Hold the phone as you normally would, and tap your thumb twice along its edge to trigger a customizable action. Compared to squeezing, this feels far more comfortable — not bad, HTC. 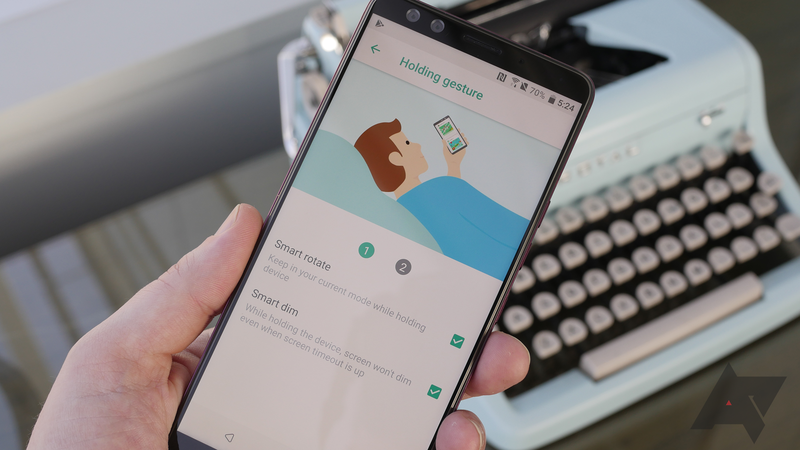 We also get smart gesture sensing on the U12+, employing these grip sensors to keep the screen from timing out when you're still holding the phone, or locking screen rotation in place so long as it still detects your hand. These are both solid ideas, and while seemingly minor, are exactly the kind of usability enhancements I love seeing in new phones. And then there are the buttons. Or maybe not, I guess, because I hesitate to call them “buttons” at all. See, HTC fell so in love with Edge Sense that it's brought a similar breed of pressure-detection to the phone's volume and power keys. Those keys do not move. They're not physical buttons. Instead, you press on them, the phone's sensors register the input, and you feel a little haptic kick. But they do not themselves move, and at least from my initial run-in with the U12+, this has proved to be incredibly frustrating. There are a couple of reasons why this bothers me so much. At least on the iPhone, doing away with the physical home button made sense because you still had this fingerprint scanner (which, by the way, on the U12+ goes with the same rear arrangement we saw on the U11+), but I can't wrap my head around why you would simultaneously implement this new pressure-sensitive system while still keeping these bumps that protrude out from the phone's edge. Why not make them practically flush, with maybe a little divot or bump to remind you where to press? But having these things that look just like real buttons except you can't press them — they don't even give a little — well, it's almost cruel. Maybe if the haptics were better I'd be more satisfied, but right now the whole thing just feels wrong. 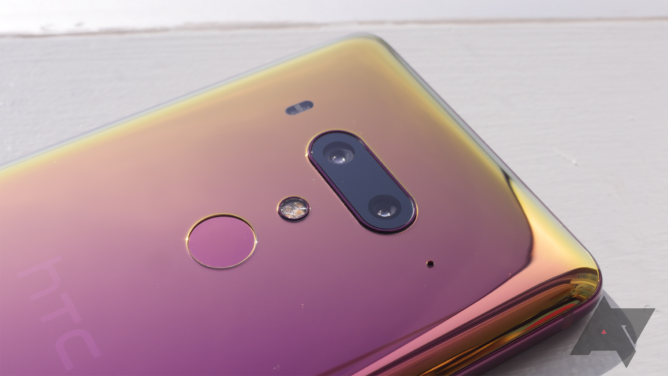 The other big news with HTC's hardware concerns the cameras on the U12+: We've got a 12MP wide-angle and 16MP telephoto sensor around back, and then dual 8MP sensors up front. You can either use the two main cameras to switch between a standard view and 2x optical zoom, or take advantage of the pair to produce a blurred-background bokeh effect — and that one works with the selfie cams, too. The pictures I shot with the U12+ during my brief time with the phone look quite good, though I'm still not a fan of HTC's camera interface. The bokeh mode works about as well as any I've seen, but it takes quite a few taps to get into the bokeh editor and actually play around with your shots — though the ability to adjust focus after the fact is worth the effort. Speaking of things taking too long, toggling between cameras feels a little sluggish, including doing so to switch to bokeh mode. I don't know that it's actually worse than on other dual-camera phones, but other camera software has done a much better job at hiding the pause that transition creates. I wasn't able to play around with video very much, but I'm curious to see if the phone's Sonic Zoom (known as Acoustic Focus last year) really delivers the volume and isolation enhancements HTC claims. On the U11 it was a great-sounding idea, but one that didn't prove super-useful in practice. As far as pure specs go, HTC doesn't make too many missteps with the U12+. The Snapdragon 845 chip is just what I'd expect to see in a 2018 flagship like this, and cementing 6GB as the RAM standard (rather that also offering a lower option) is a smart move on HTC's part. I do like that there's both a 64GB and 128GB storage level, but it's a bit limiting that the latter is exclusive to the translucent blue color. As one would only hope from a phone that has so thoroughly rejected the idea of physical buttons, the U12+ offers solid IP68 water and dust resistance. 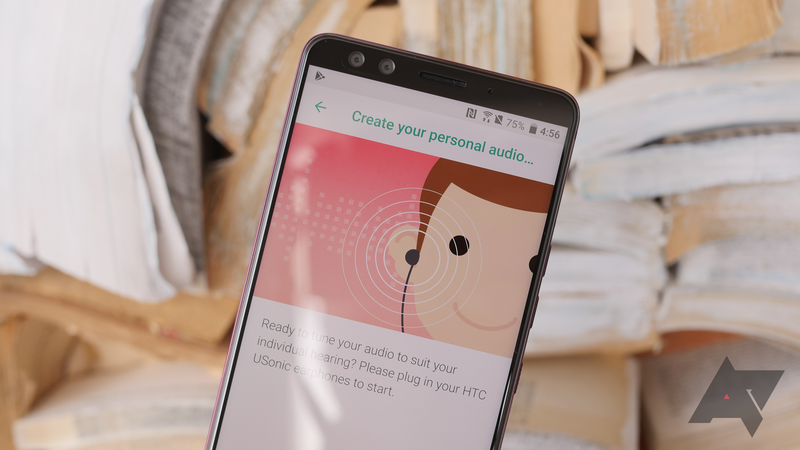 Another non-surprise is the continued lack of a headphone jack, in favor of HTC's USonic earbuds and their USB connection. While the active noise cancellation they provide sounds good on paper, I'd far prefer the greater flexibility of an analog jack — if I need quiet that badly, I'll use wireless headphones. Maybe the biggest hurdle the U12+ stands to face is in terms of pricing and how the phone is sold. You'll pay about $800 for the 64GB U12+, or closer to $850 for the 128GB edition. I love that the storage upgrade is so affordable, but this lofty starting price is not going to do HTC any favors. The situation might be tenable if HTC were aligned with any of the big US carriers. Instead, sales will commence through Amazon and by way of HTC itself. When asking for $800 all at once you need to give shoppers something suitably impressive to show for it — and yes, HTC does do financing, but the lack of carrier involvement could still hurt (people love having all their phone stuff on one bill). While I think the U12+ is a perfectly respectable flagship, it's just a little too weird, and a bit too far removed from mainstream design expectations to really give shoppers that hook. 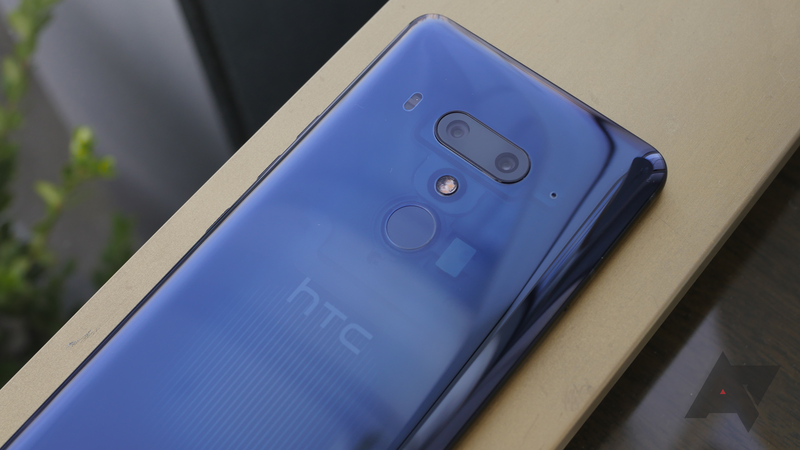 Want to know more about the HTC U12+? Check out our main announcement post for the phone's launch details, or leave us any questions that come to mind in the comments.